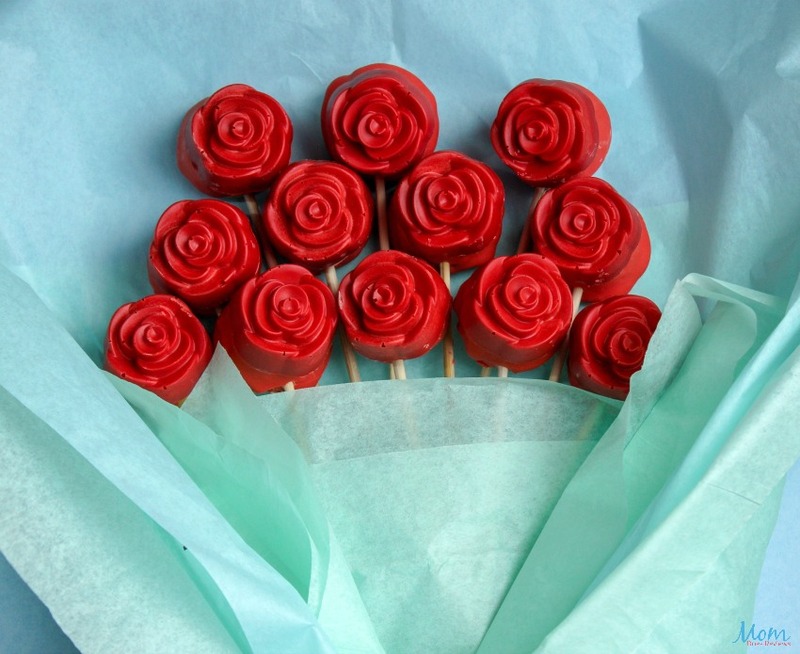 Who doesn’t love roses and chocolate? I know, right?! Well, we have a fun treat for you today! 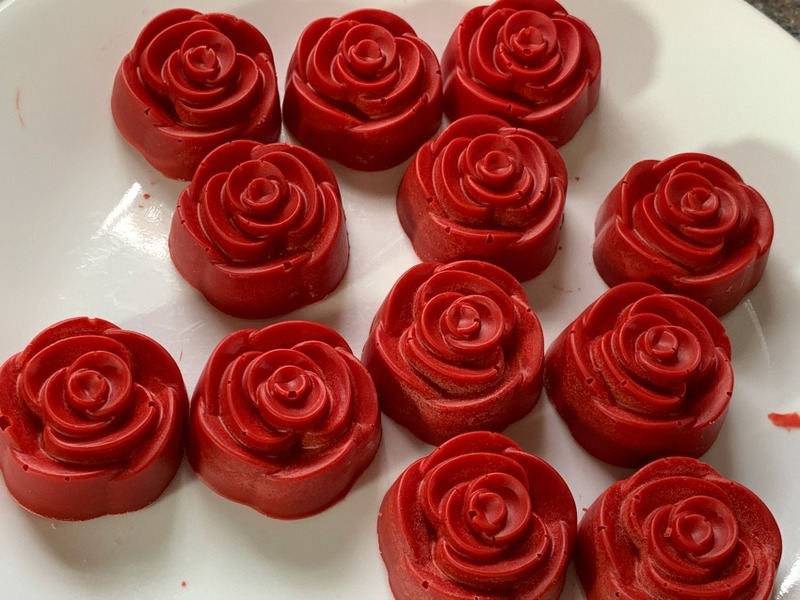 These Champagne Flavored Chocolate Rose Donuts are the perfect treat! 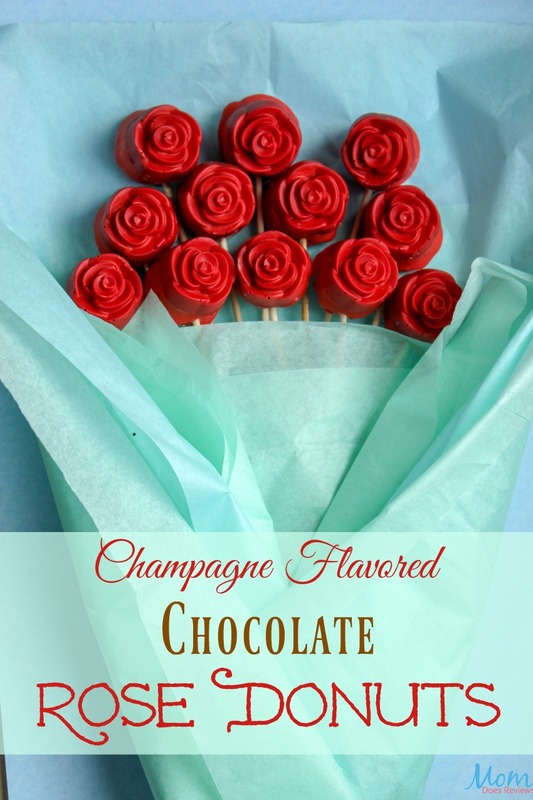 Whether it is a special holiday for you and your significant other or maybe you would love to surprise your Mother or Grandmother on Mother’s Day, they are sure to be a hit! This recipe takes a little more effort but is actually really easy if you follow the step-by-step instructions. And, you have to admit they are adorable! If you love fun donut recipes, take a look at these fun Penguin Donuts! Need a romantic dessert or one for Mom’s day, check out our super easy Heavenly Hot Cocoa Desserts Cups! *you can substitute regular flour for cake flour and you can also add extra milk (1/8 cup at a time) to make the batter thinner if you prefer. For a stronger flavor, double the amount of drops on the flavoring. Lightly grease the pan with vegetable oil. Add the flour, sugar, baking powder and salt to a mixing bowl. 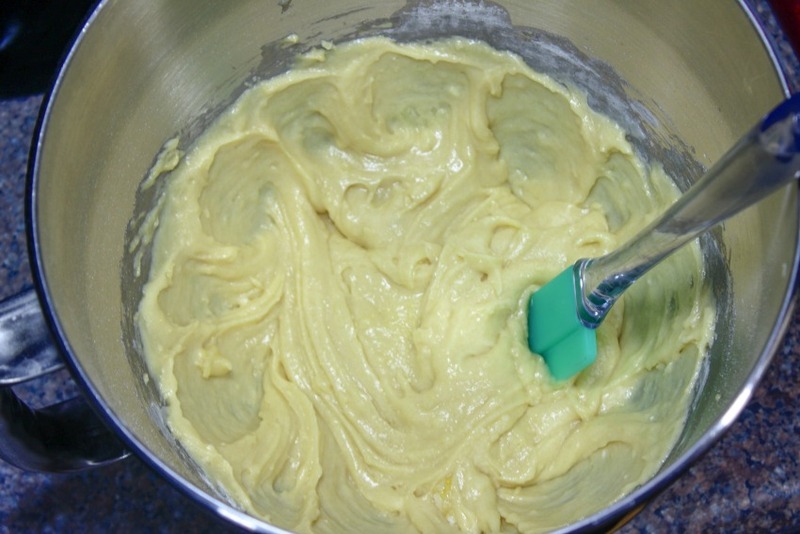 Add the milk, egg, butter and Treatology flavoring to the mixing bowl. Turn the mixer to stir and combine the ingredients. Once the dry ingredients are incorporated into the liquids, turn the mixer to a medium speed and mix for 2 to 3 minutes. 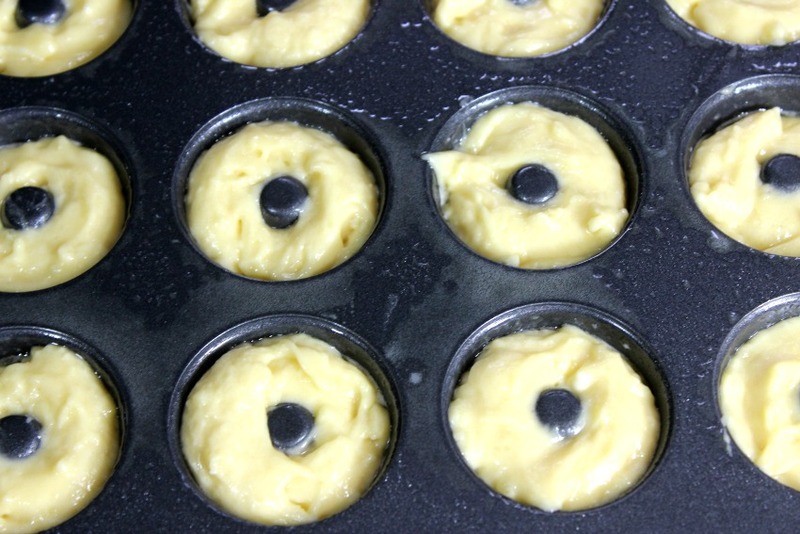 Spoon ½ tablespoon of batter into the cavities in the donut pan filling them 1/3 full. Tap the pan on the counter to even out the batter. Bake 4 to 6 minutes or until the top of the donuts spring back when touched. Remove the pan from the oven and place it on a cooling rack. Cool for 4 to 5 minutes. Remove the donuts from the pan. 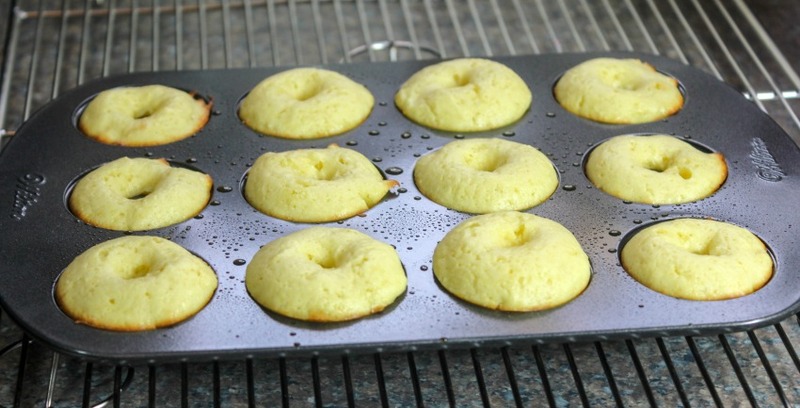 Allow the donuts to cool completely before moving on to the next step. 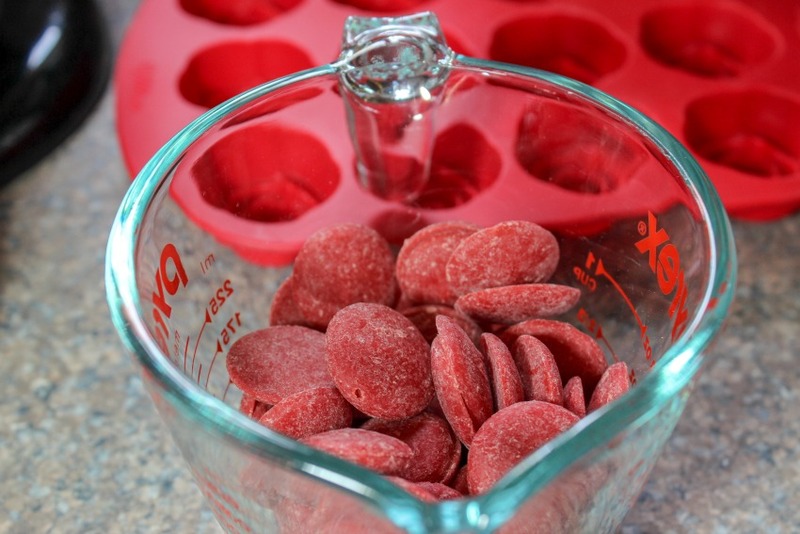 Melt the red Wilton Candy Melts in the microwave following the instructions on the bag. (60 seconds, stir then 10 seconds and stir again is how I do it). 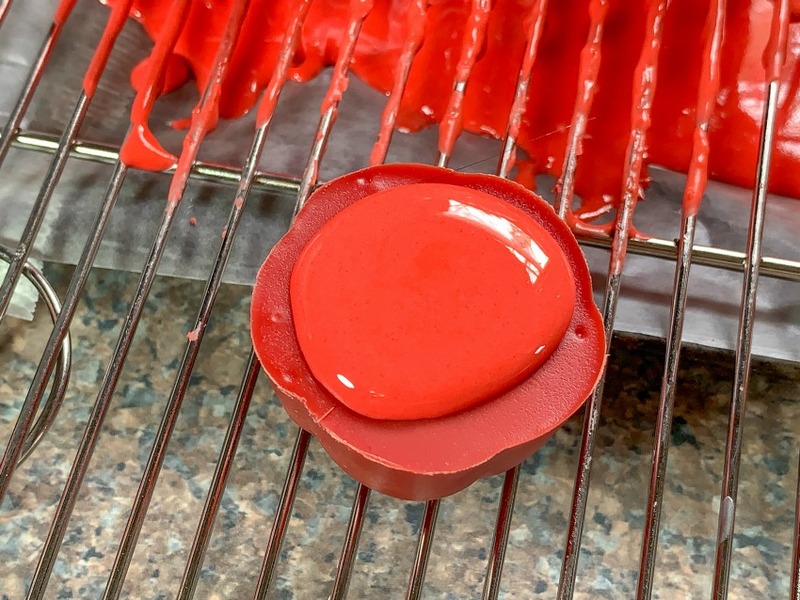 Pour the melted candy melts in the silicone rose mold sit on a cookie sheet, shake the mold from side to side and bounce the cookie sheet a couple times to get the air bubbles out. 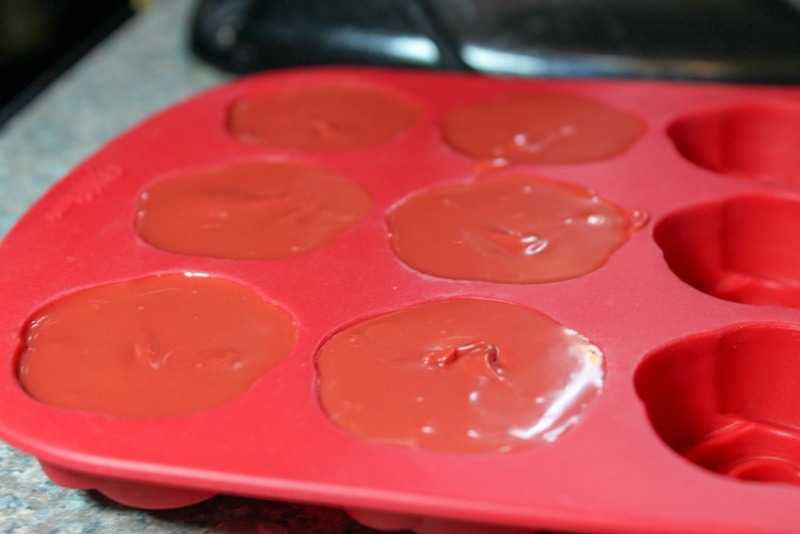 Place the mold in the refrigerator and refrigerate for 20 minutes. Carefully remove the donuts from the mold by peeling the mold backwards. 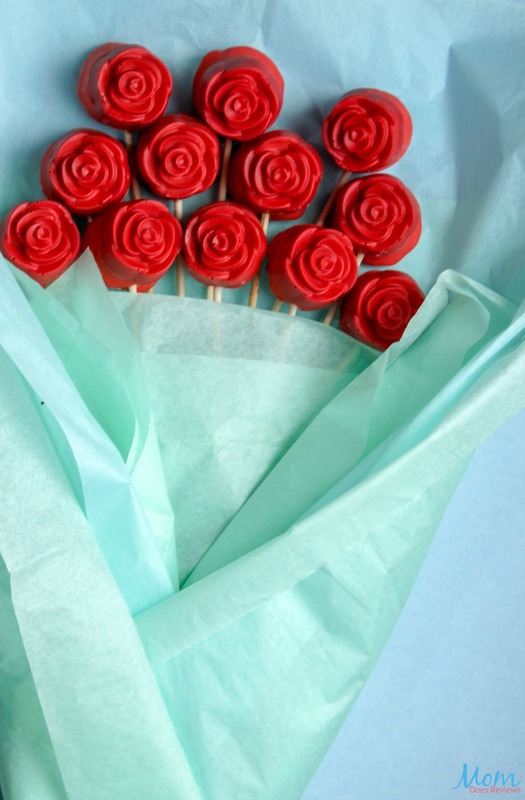 Refrigerate the roses until it is time to decorate the donuts. Once the donuts are cool, mix up the royal icing according to the instructions on the box. Make sure the royal icing is runny enough to spread, but not too runny. 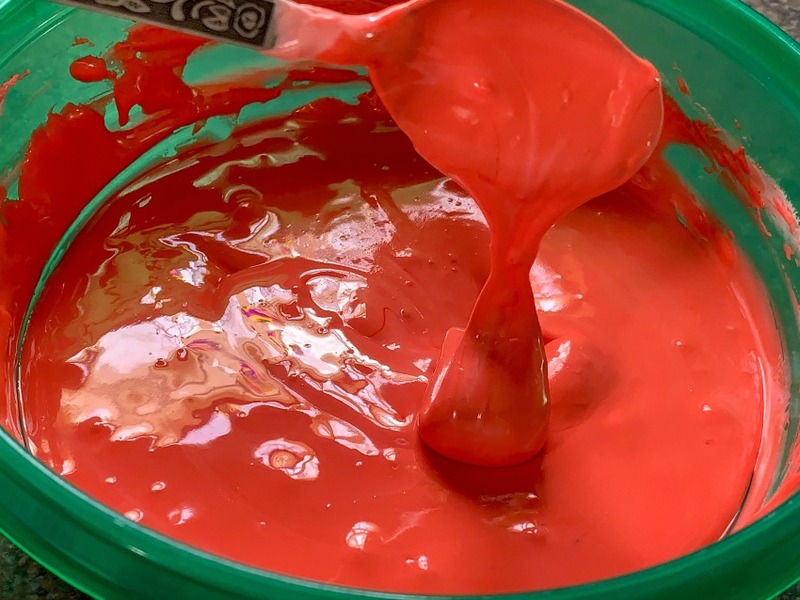 Prepare a piping bag with Wilton Tip #1 and put the royal icing in it. Pipe the icing inside of the donut then move on to the outside of the donut. 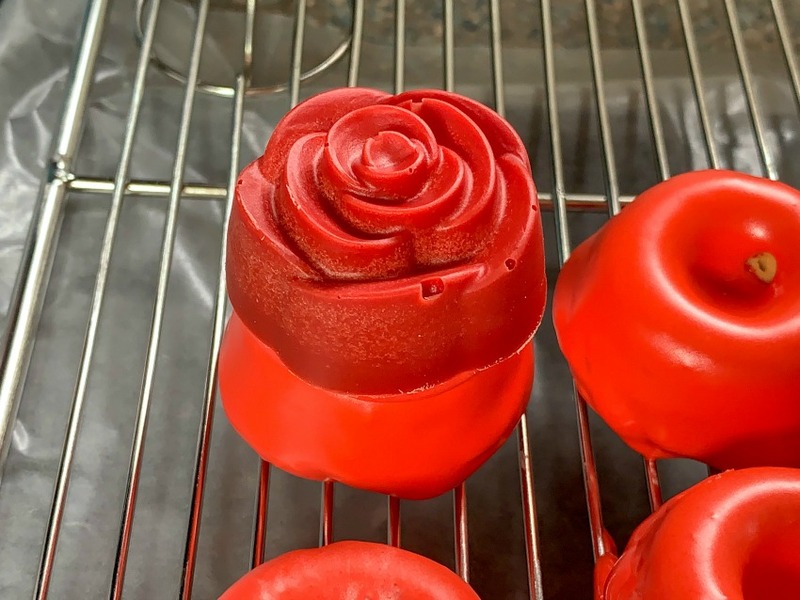 Spread a little of the Royal icing on the back of a rose and place it on top of the donut. Continue this process until all the donuts are decorated. Insert a skewer into the center bottom of each donut. 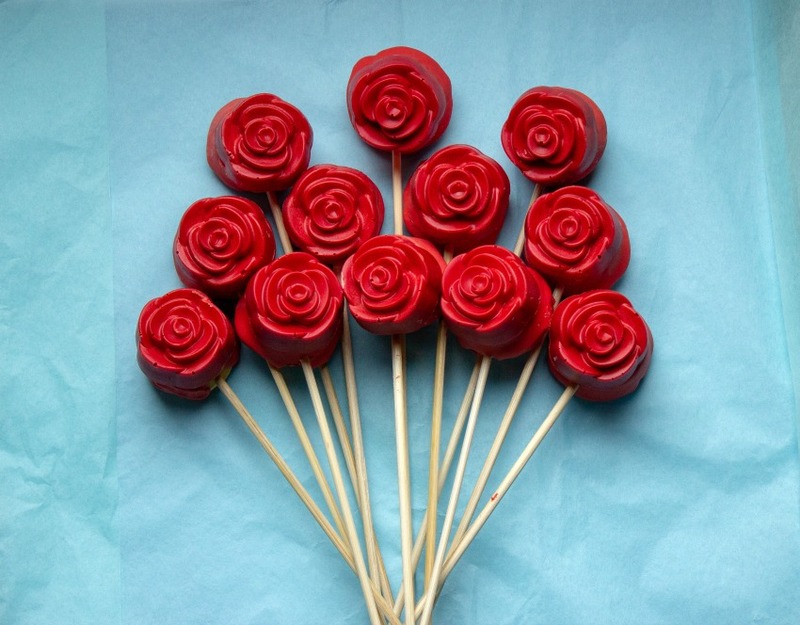 If you want to skip this step for now, you can also do it right before you arrange the roses. Place the donuts in the refrigerator overnight to allow all the icing to dry. Lay two sheets of tissue paper on a piece of cardboard covered with aluminum foil or on a platter. Be sure to place the bottom piece of the tissue paper lower than the top sheet. Arrange the decorated donuts on top of the tissue paper. Lay a second sheet of tissue paper over the bottom of the donuts to cover the wooden skewers. 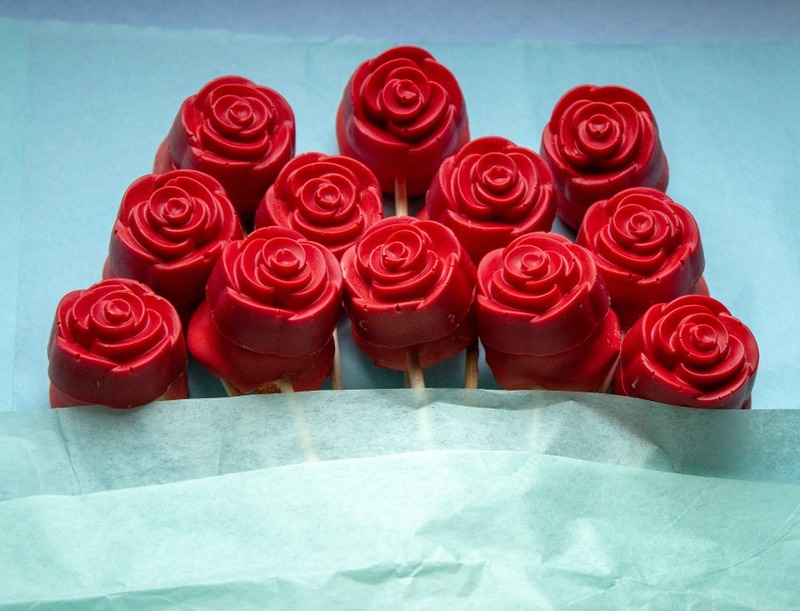 Now fold the top two sheets of tissue paper so the roses are exposed, but the skewers are hidden. Now take that last sheet of tissue paper and fold it over all the other layers then tuck it at the bottom underneath the ends of the skewers. This will hold all the tissue paper in place. 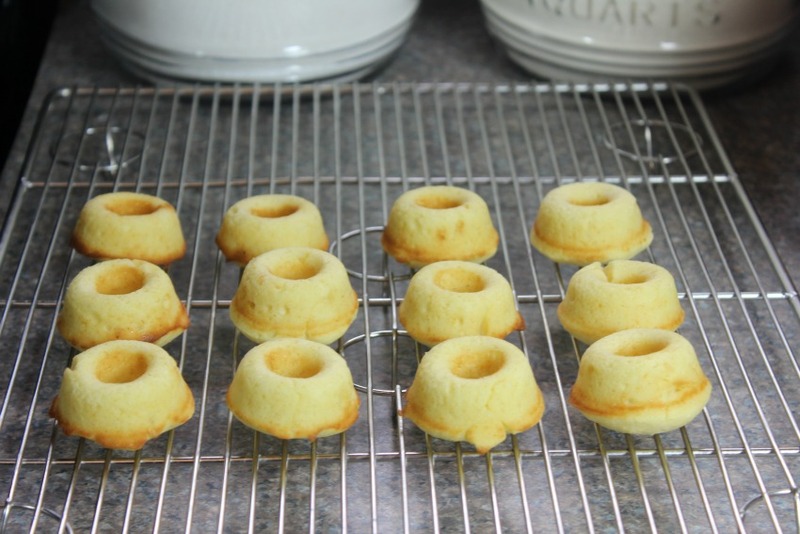 Spoon ½ tablespoon of batter into the cavities in the donut pan filling them ⅓ full. 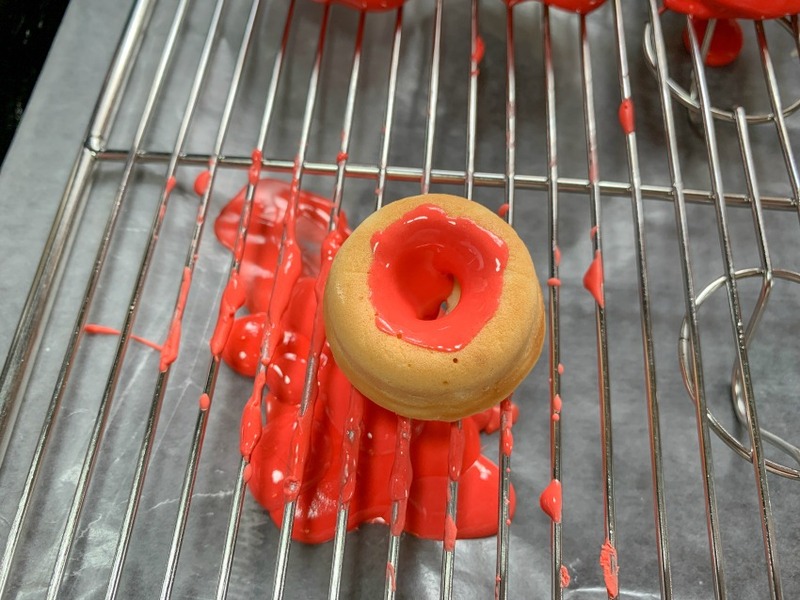 Carefully remove the donuts from the mold by peeling the mold.